Defoe's novel Robinson Crusoe (1719) tells of a man's shipwreck on a deserted island and his subsequent adventures. The author based part of his narrative on the story of the Scottish castaway Alexander Selkirk, who spent four years stranded on the island of Juan Fernandez. He may have also been inspired by the Latin or English translation of a book by the Andalusian-Arab Muslim polymath Ibn Tufail, who was known as "Abubacer" in Europe. The Latin edition of the book was entitled Philosophus Autodidactus and it was an earlier novel that is also set on a deserted island. "One day, about noon, going towards my boat, I was exceedingly surprised with the print of a man's naked foot on the shore, which was very plain to be seen on the sand. 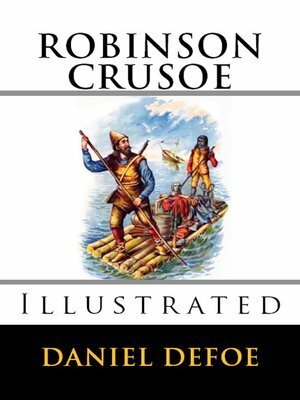 "— Defoe's Robinson Crusoe, 1719 The novel has been variously read as an allegory for the development of civilisation, as a manifesto of economic individualism and as an expression of European colonial desires but it also shows the importance of repentance and illustrates the strength of Defoe's religious convictions. It is also considered by many to be the first novel written in English. Early critics, such as Robert Louis Stevenson admired it saying that the footprint scene in Crusoe was one of the four greatest in English literature and most unforgettable; more prosaically, Dr. Wesley Vernon has seen the origins of forensic podiatry in this episode. It has inspired a new genre, the Robinsonade as works like Johann David Wyss's The Swiss Family Robinson (1812) adapt its premise and has provoked modern postcolonial responses, including J. M. Coetzee's Foe (1986) and Michel Tournier's Vendredi ou les Limbes du Pacifique (in English, Friday, or, The Other Island) (1967). Two sequels followed, Defoe's The Farther Adventures of Robinson Crusoe (1719) and his Serious reflections during the life and surprising adventures of Robinson Crusoe: with his Vision of the angelick world (1720). Jonathan Swift's Gulliver's Travels (1726) in part parodies Defoe's adventure novel.